Background: Published in 1839. The Usher House was actually a real place in Boston, which may have inspired the story. It seems the owner caught his wife having an affair with a sailor, and he entombed them in the cellar, where their bodies were found when the Usher House was torn down in 1800. What it’s about: “The Fall of the House of Usher” follows a narrator into the home of his ill friend Roderick Usher, who is suffering mental afflictions. Roderick’s twin sister, Madeline, tends to fall into deathlike trances. About the mansion is an air of desolation and decay. When Madeline dies, Roderick has her entombed in the family vault. A storm breaks out; horrible sounds thump from within the house in time with their increasing anxiety. Roderick, at his breaking point, cries out that they buried Madeline alive, and she appears, bloody, at the door. Death claims the Ushers as the narrator frantically departs, the house crumbling in the storm behind him. Why it will keep you up at night: Though Poe doesn’t come right out and say it, there’s an implied incestuous relationship between Roderick and Madeline. Factor in Roderick’s deteriorating mental state, Madeline being buried alive, the humanlike character of the ancient mansion, and finally the resurrection of the supposedly-dead, and you’ve got yourself enough disturbing ideas to start questioning your own sanity. 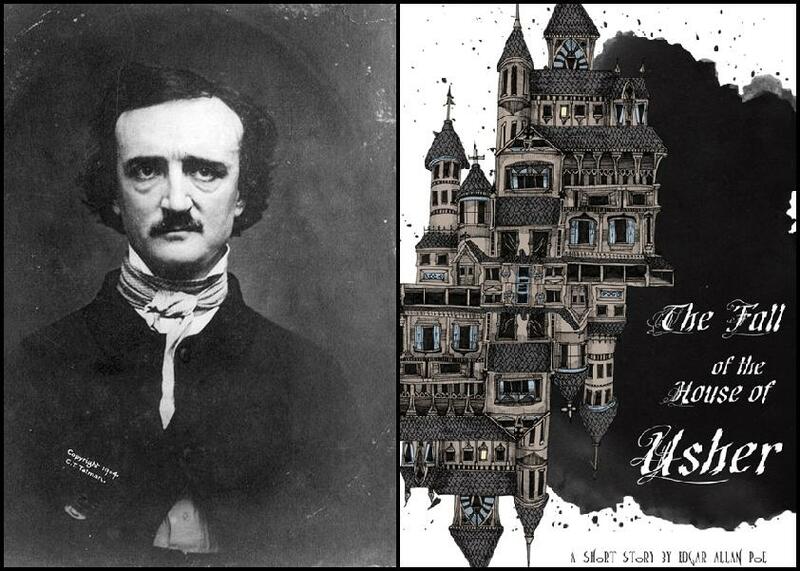 Read The Fall of the House of Usher and Other Tales now! Poe… I would totally bone Poe… And that’s saying something, ’cause, ya know… He’s dead… And totally not my type. In all seriousness, “Usher” is a prime example of why Edgar Allan Poe is a genius. SO GOOD. This is literary mastery if I have ever seen it. Obviously, gothic literature has a sacred place in the area in or around where my heart should be, but ( and this is a big but [hehe])… No other Poe story allowed me to snark up an academic paper with “What would stop brothers and sisters from living in complete solitude on their family estates, desecrating their heritage, and degenerating their biological gene pool before the house of Usher fell around/on them?” Moral of the story, kids, is this… Put down Twilight. Read Gothic literature instead. Poe’s short stories are a great place to start. They are fun, and they are amazing. You will not only actually earn respect rather than disgust for your reading choices, but you will learn how a single text can be nuanced and terrifying in a good way. Great Pick! This sounds like a brilliant academic paper, perhaps only surpassed by your Victorian literature paper which somehow morphed into commentary on True Blood. Yes, all of these picks will be fantastic alternatives to the gag-inducing Twilight phenomenon, the scariest part of that franchise being how badly written and how popular it is.